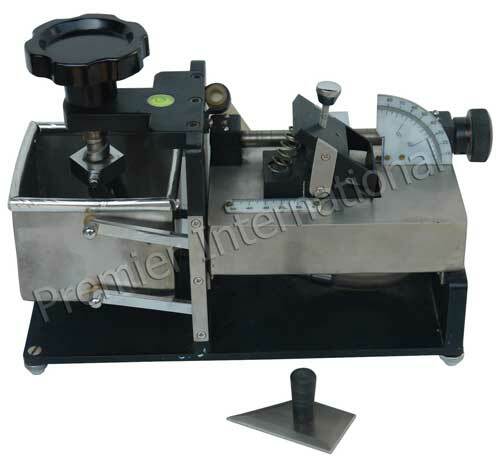 The Curl Tester of our company is used to measure the Degree of curl when the paper sample exposed to water. Our product runs on the principle of wetting one side of the paper and determining the maximum curvature developed or the time required to reach maximum curvature .The maximum curvature is an indication of relative tendency of certain paper, especially, to curl under normal condition of usage. The time required to reach maximum curvature is measure of relative degree of sizing, which is secured with rosin.